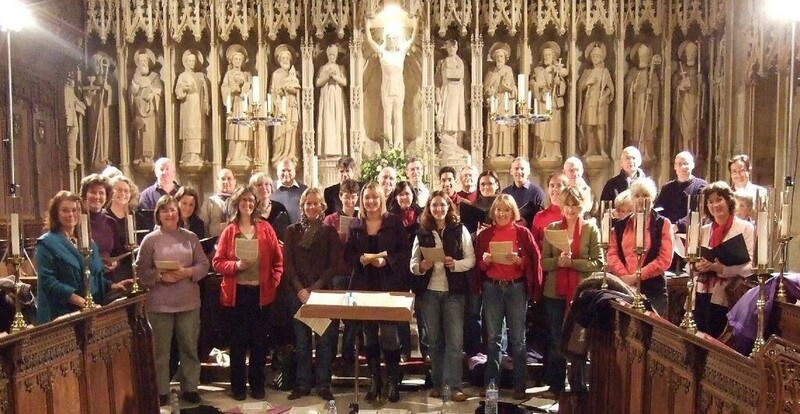 Joining the Choir - Ashton Singers is a chamber choir based in Winchester, Hampshire. Vacancies arise in the Ashton Singers from time to time and admission is normally by a short audition. Potential members usually have experience of singing unaccompanied music in a small choir. Important qualities include the ability to sing in tune and a voice suitable for a small choir. Good sight reading ability is desirable and singers should have the confidence to sing with just one or two other voices or hold the vocal line alone if necessary. Regular attendance at rehearsals is expected. These are held weekly on Wednesday evenings from 8 until 9.45 p.m. and there are usually about eight rehearsals leading up to a concert and an extra rehearsal on the day of the concert. Members pay a termly subscription, and may occasionally be asked to buy their own music. If you enjoy the type of music we sing and would like to enquire about membership, please use the contact form below.